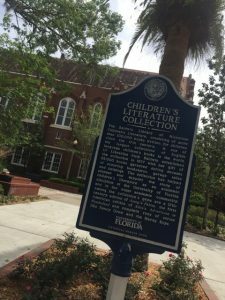 If you love old books, there’s a good reason to visit the University of Florida. 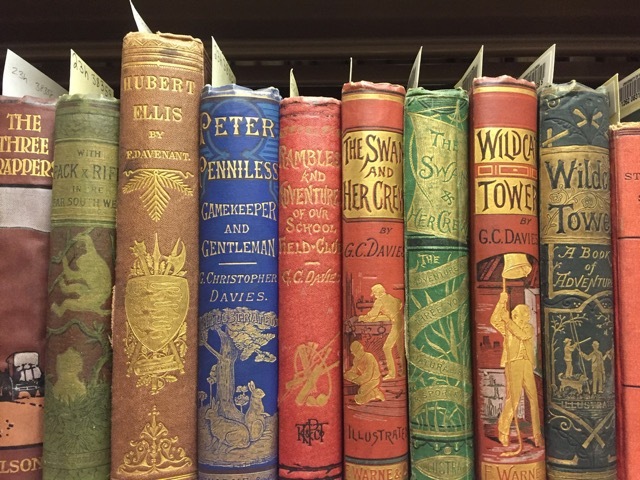 At the George A. Smathers Library you’ll find the Baldwin Library of Historical Children’s Literature. 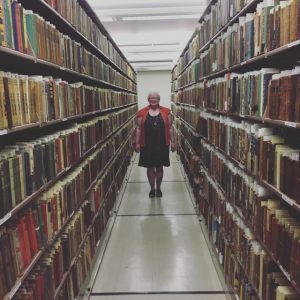 With over 100,000 items, including approximately 3500 published in North America and Great Britain before 1823, this a truly a treasure trove of children’s books. And the best part? Anyone can visit and examine these books. 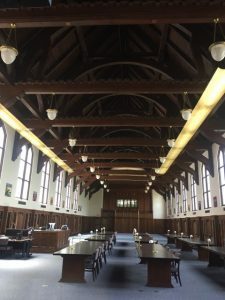 By the way you’ll, feel like you are in a Harry Potter book when you enter the Grand Reading Room. When you visit, you are asked to register. The library is open only on weekdays, so plan your trip accordingly. Once you register, you’ll be asked to put away (into charming old wooden lockers) everything except pencils, paper, laptop, and camera. Then, browse the catalog and start requesting books. The friendly staff will pull them for you and away you go. The digital library is available any time, so you can browse some of these old books right now! As the 2017 Bechtel Fellow, I am here looking at hundreds of versions of Little Red Riding Hood, trying to not be distracted by all the other books in this amazing collection. On a tour of the closed stacks, curator Suzan Alteri gave me a behind-the-scenes look at the books. The first thing I noticed was the smell— yes, that lovely almost-vanilla scent of aging paper and ink, floating on the chilled air. The bindings alone give me goosebumps. I want to touch all of the books, to absorb their stories. To me, one of the amazing things about this collection is that I do get to touch the books (you can too). While they are sacred objects, they are meant to be used, meant to be looked at. The Baldwin library is a non-browsing, non-circulating collection, so to get your hands on these treasures you need to visit, search the catalogue, and ask for items to be pulled for you. Gainesville might not be on your Florida radar, but as there are interesting wildlife parks and bird-watching sites nearby, perhaps it should be. There’s a beach 73 miles away, and other interesting things to do, so maybe your next vacation can include a trip to the Baldwin collection! Kits, Bundles, and Theme Bags: Do You Have Them, and, What Do You Call Them? The whole experience sounds like a dream! Thanks for sharing with us. Yes this sounds wonderful! Thanks for sharing, Angela. You really make it come alive. You too can be a Bechtel Fellow. Consider applying for the Fellowship!